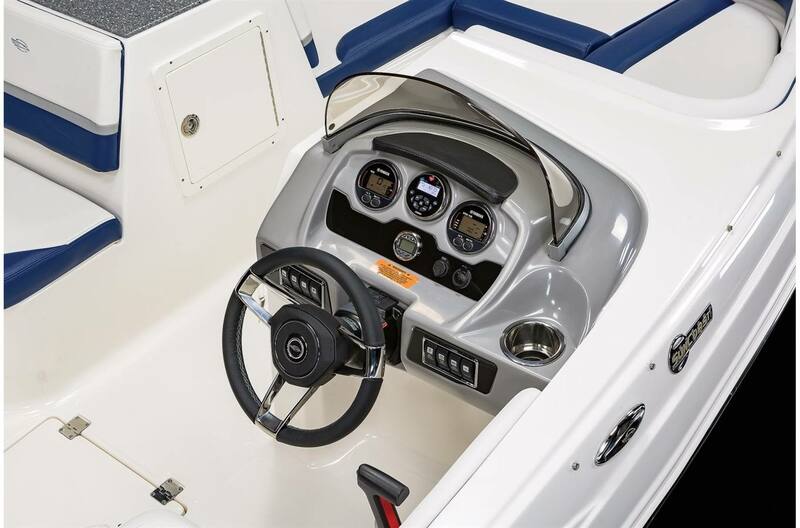 Open Concept: Walk past the helm and the wet bar, and you are approaching a sun worshippers delight. 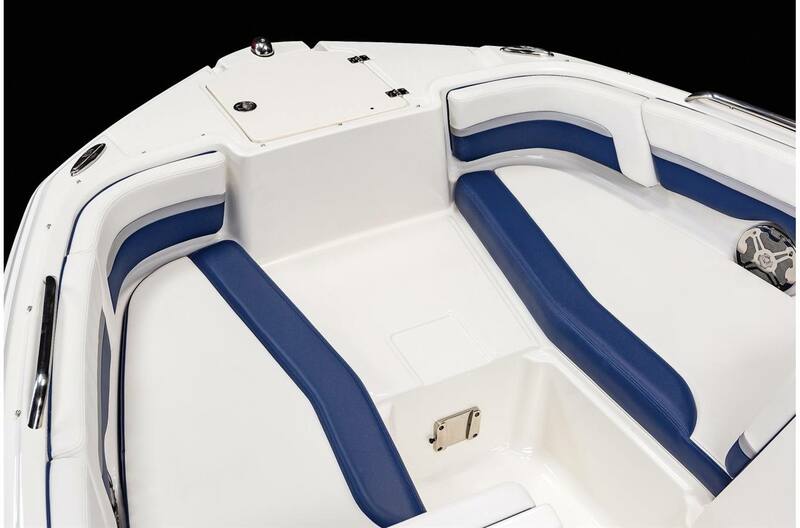 Chaparral carried the beam of the boat forward into the bow, to create a wide open platform for lounging. 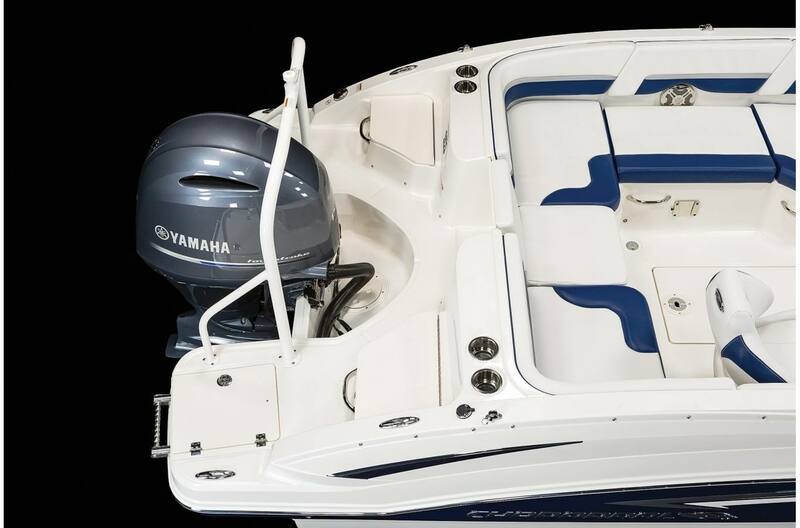 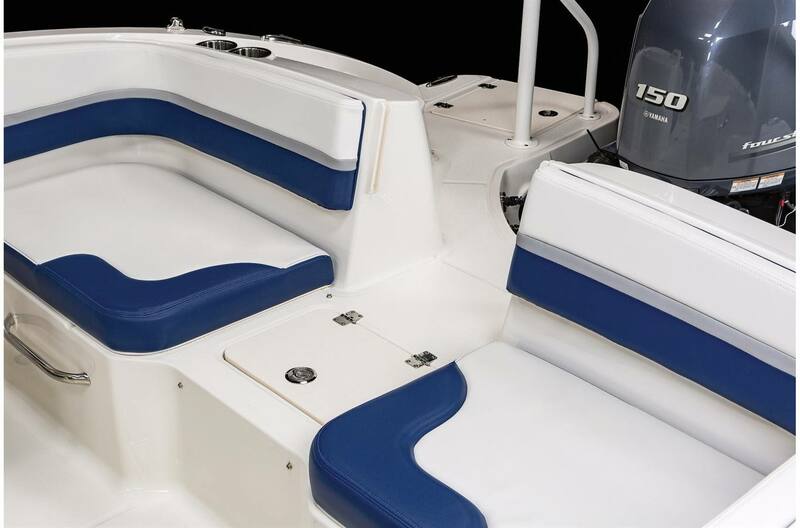 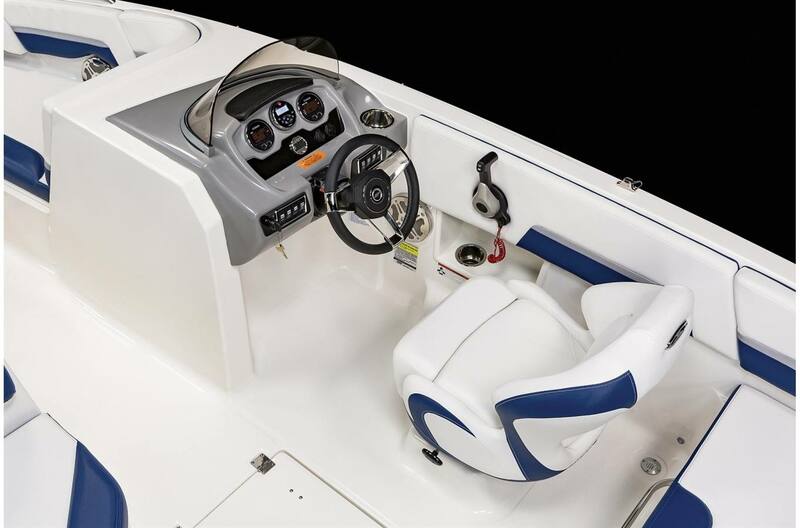 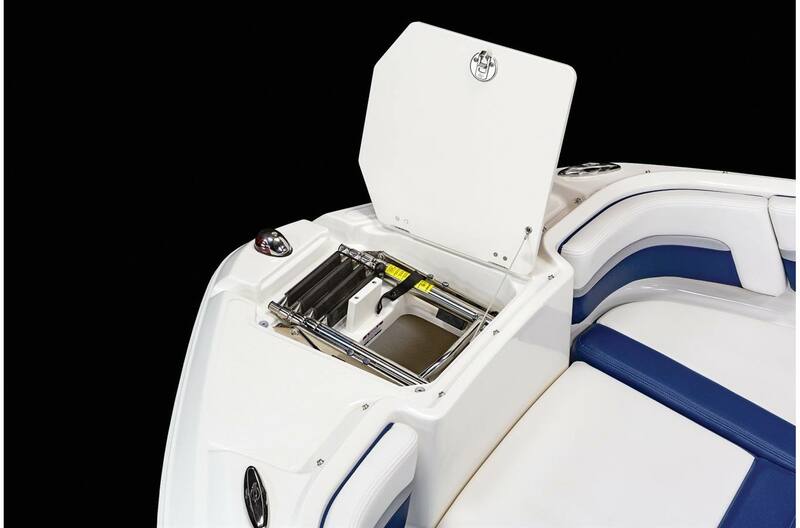 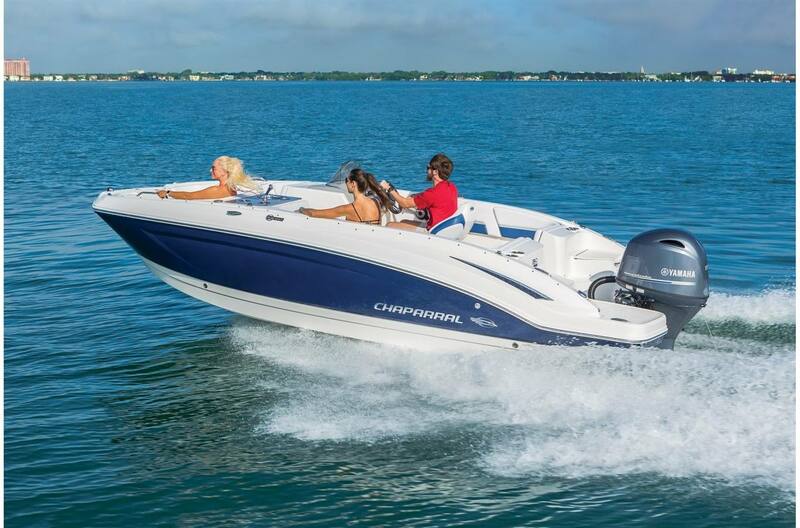 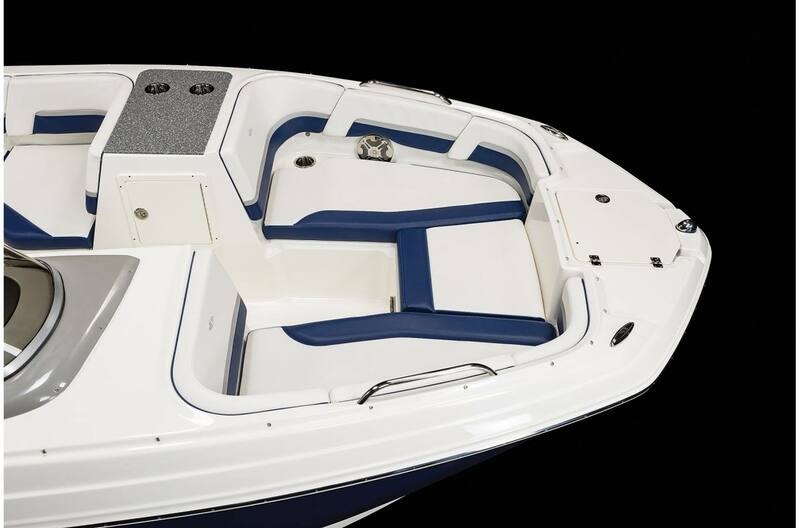 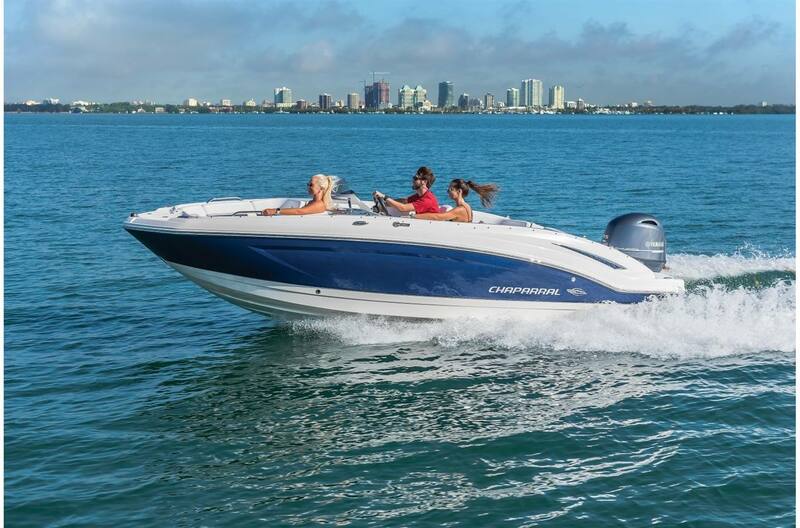 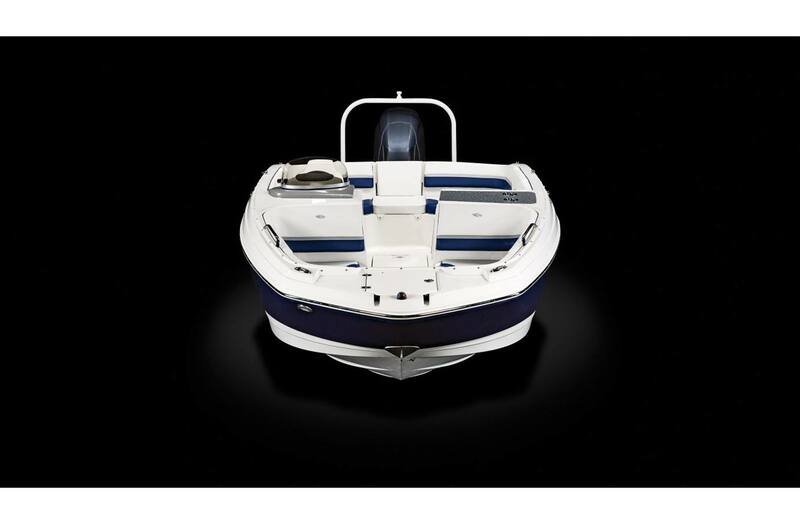 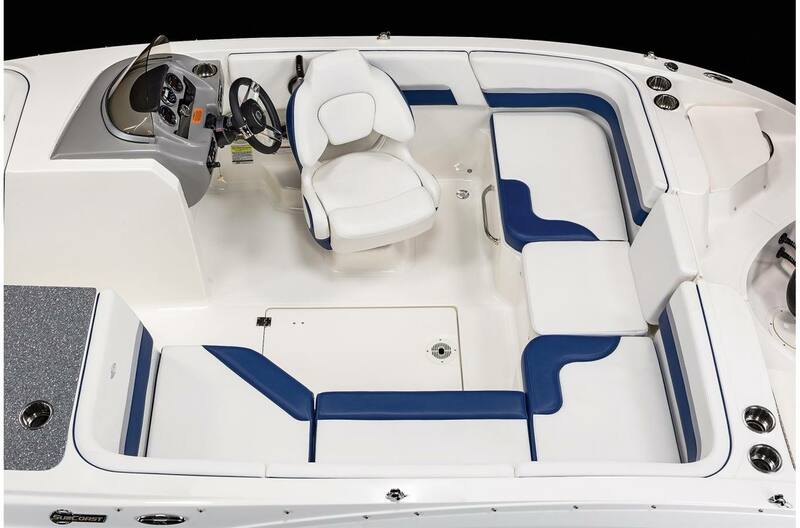 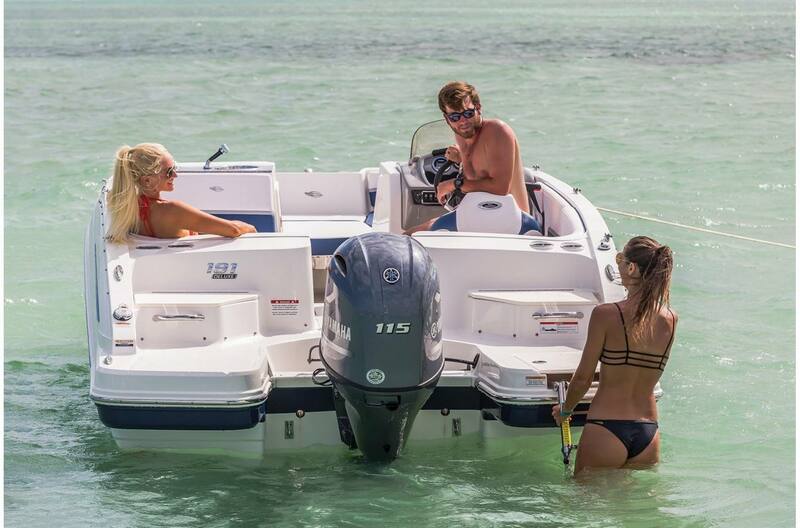 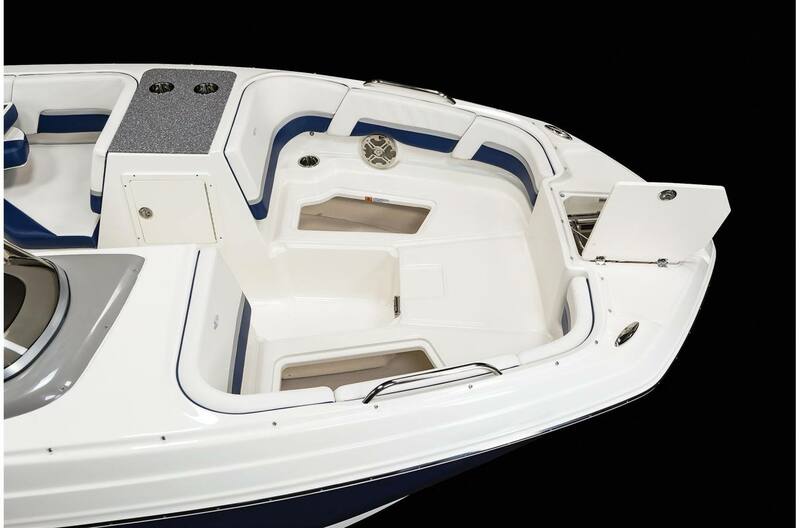 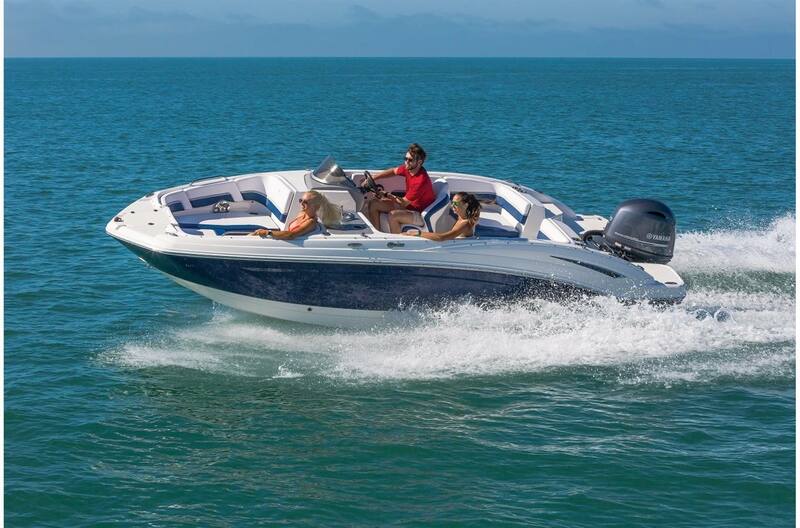 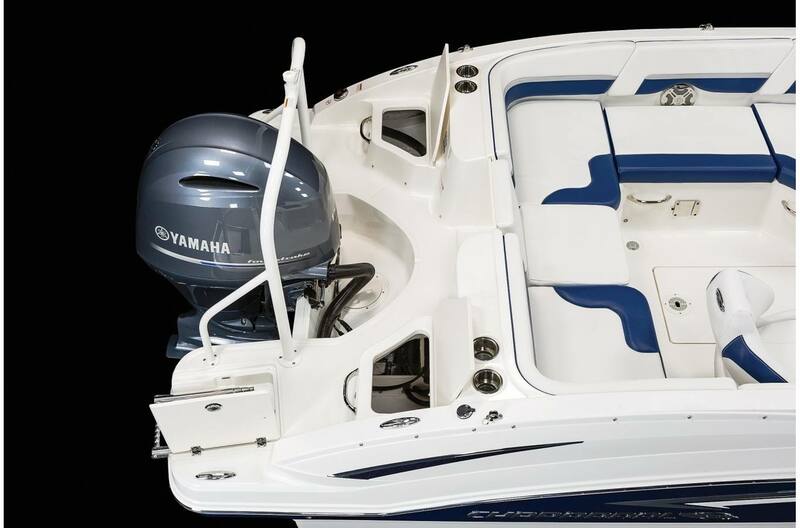 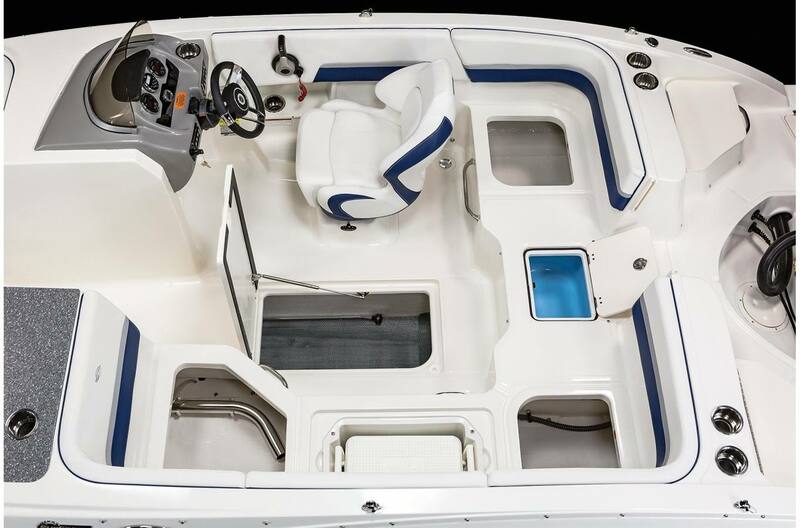 Removing the forward center cushion creates a wide safe step for boarding the boat from the bow. 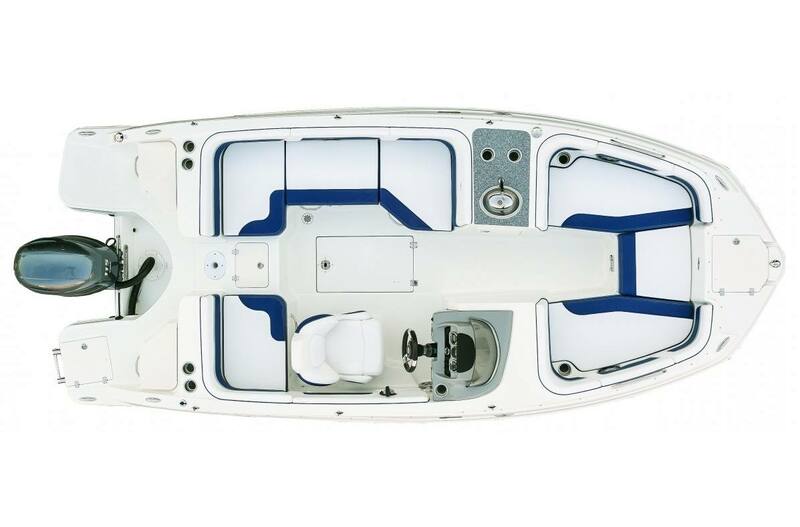 A hatch forward conceals the swim ladder and anchor storage. 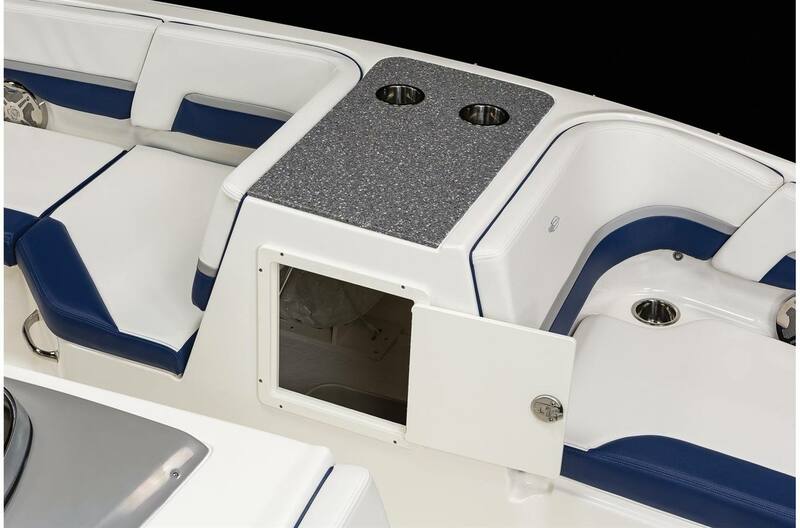 Stereo speakers are neatly tucked away into the sides of the bow. 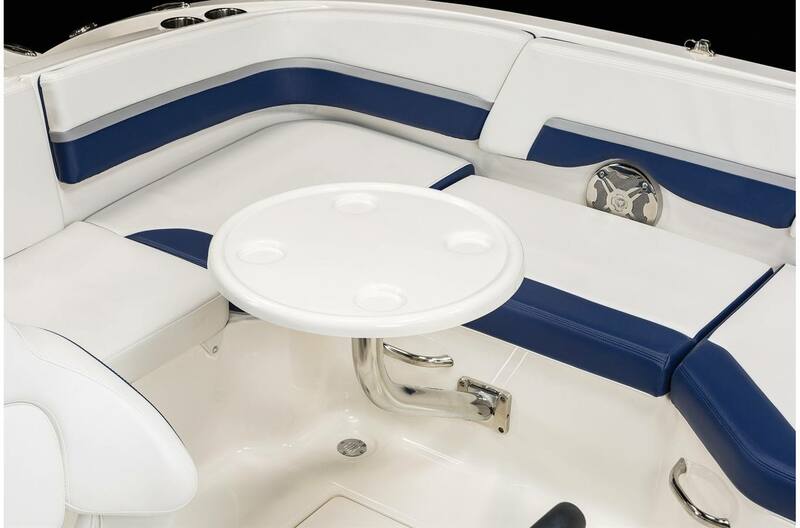 The port and starboard sides have standard safety rails. 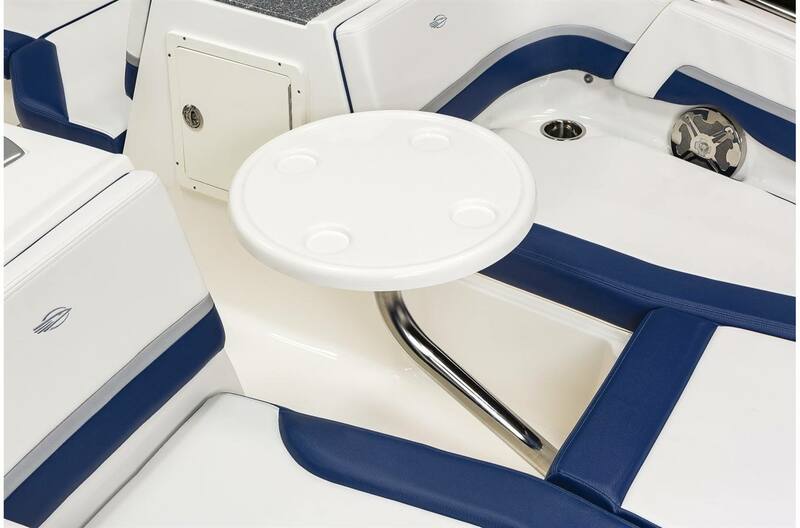 Opt for the cockpit table and you have a dining area with a view. 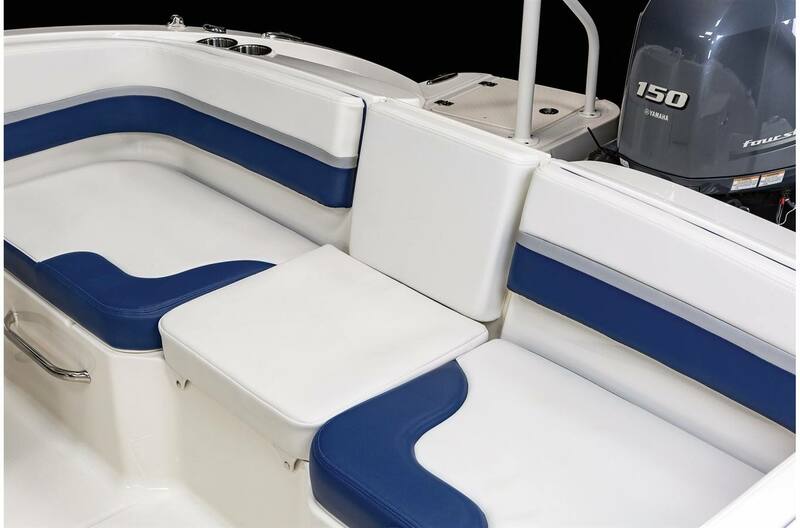 An optional filler cushion is also available to created a single large lounging area. 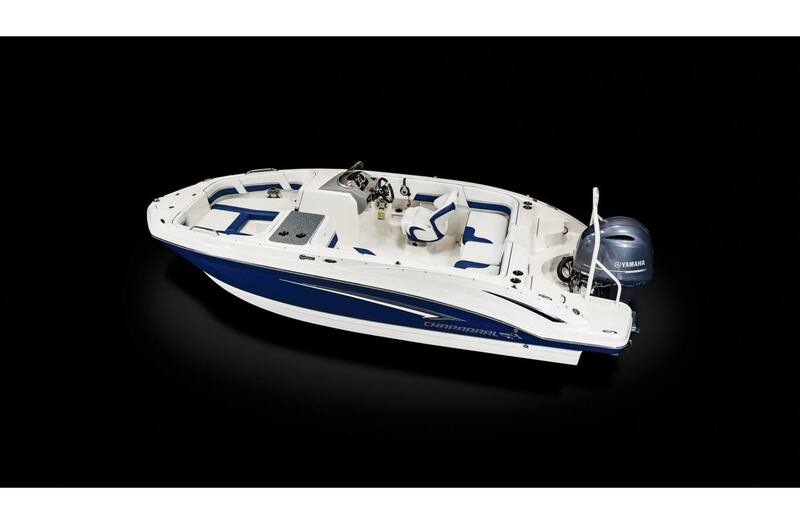 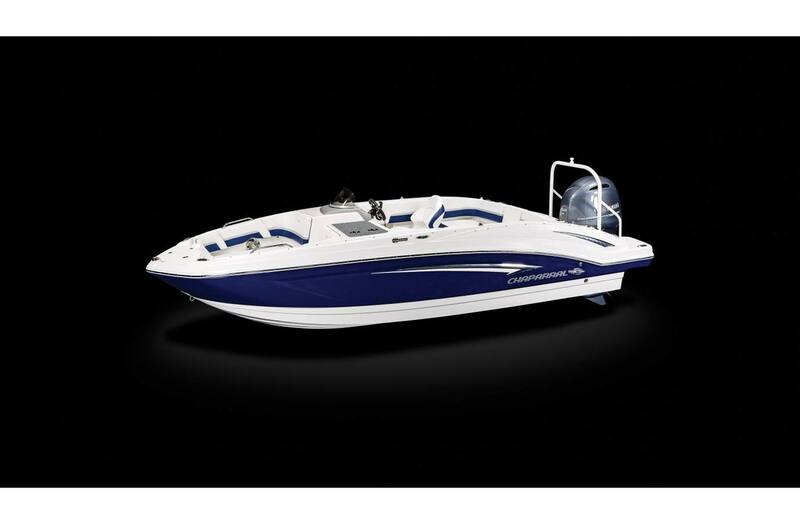 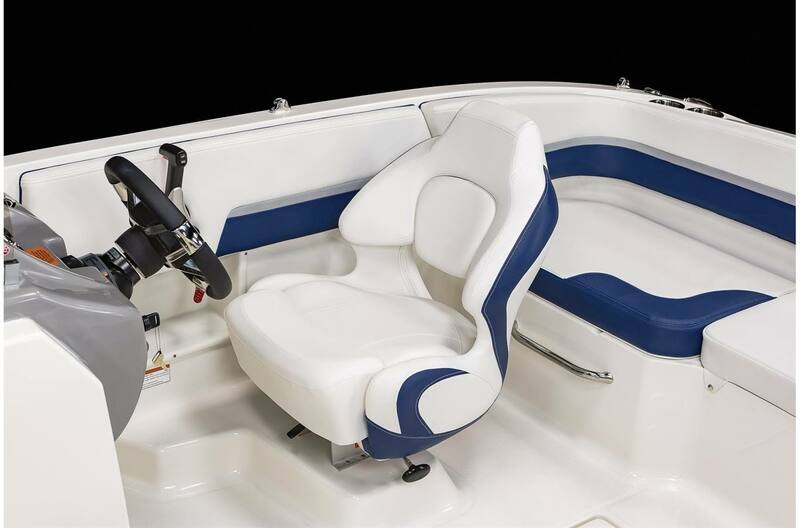 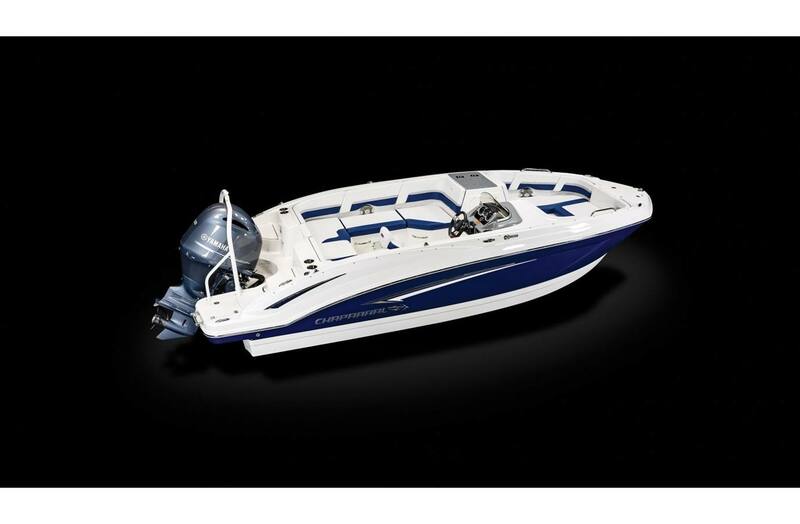 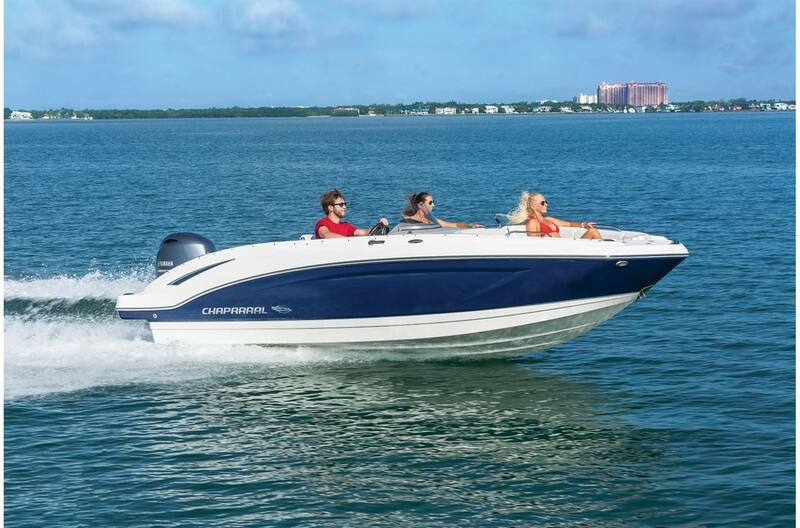 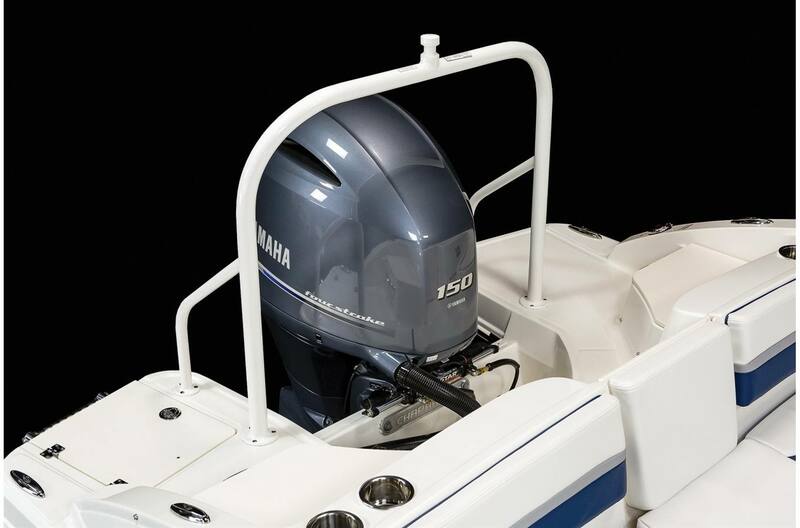 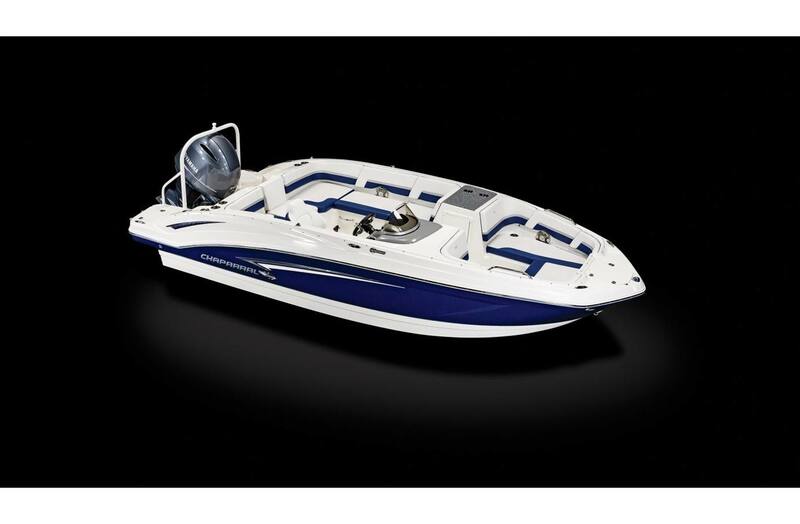 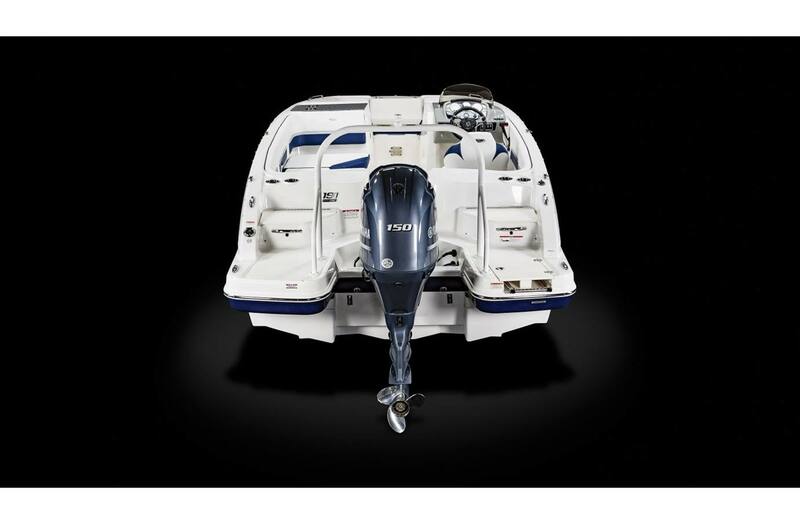 Mercury Four Stroke 115HP 25"
Yamaha Four Stroke F115XB 115HP 25"